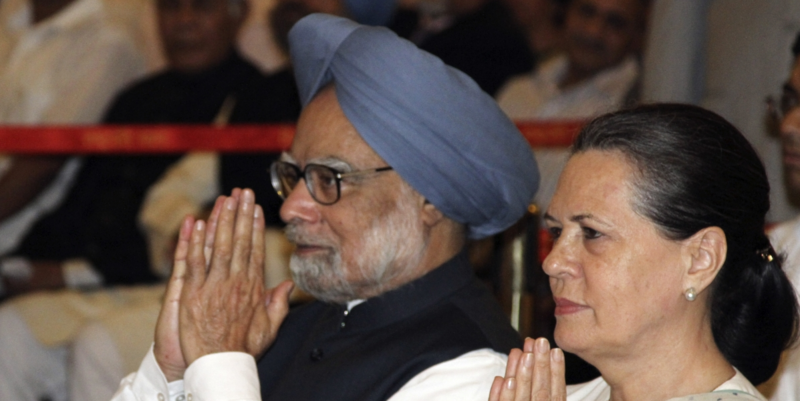 India’s GDP Debate: What Explains Reduced Growth Rates Under the UPA? How correct was it for the Central Statistics Office to have selectively used contested methods for preparing the back series data? The spotlight is back on India’s growth rates, three years after the gross domestic product (GDP) data using the 2011-12 base year was released. Before trying to delve into the controversy surrounding the back-series data – which saw GDP growth from 2006-2012 reduce significantly – it is important to understand how we measure GDP and what happened during the last base year revision. GDP, or gross value added (GVA), is a measure of goods and services produced in an economy in a year, net of intermediate inputs. Broadly-speaking, it is a statistical construct based on innumerable estimations of value addition taking place in an economy. GDP is estimated following the UN System of National Accounts (UNSNA) – a global template, revised periodically to account for evolving economic activities. The National Accounts Statistics (NAS) – the Central Statistical Office’s (CSO) annual publication which reported GDP estimates with the base year 2011-12 – was released in early 2015. The base year revision has always followed the UNSNA guidelines; the previous revision was with the base year 2004-05. GDP is re-based regularly to account for changing production structure, relative prices and better recording of economic activities. Crucially, the re-basing also allows for introducing newer methodologies and improved databases. Such changes often expand the absolute GDP size because we are able to more accurately capture output. However, annual growth rates usually do not vary too much with re-basing of GDP – implying that the underlying pace of economic expansion has remained the same. The last revision was somewhat peculiar as it resulted in a 2.3 percentage point shrinkage of the absolute GDP (GVA) size in the base year (2011-12), thus raising India’s growth rates in the following years. For instance, in 2013-14, the growth rate of the manufacturing sector swung from (-) 0.7% in the old series to (+) 5.3% in the new series. The revision also altered the institutional composition of India’s GDP: in particular, the private corporate sector’s (PCS) size was enlarged while the unorganised/informal/household sector got contracted (with public sector’s share remaining the same) due to the introduction of questionable methodological changes. What were these changes? One example was how data from the Annual Survey of Industries (ASI) was replaced with Ministry of Corporate Sector’s (MCA’s) company financial data (MCA-21) for estimating manufacturing sector growth. It was claimed that ASI did not capture value addition taking place outside of the factory premises, but within the enterprise (or a firm). The revision led to faster GDP growth after 2011-12 – a result that is widely contested by policy-makers, financial investors and academics as the elevated growth estimates are also hard to reconcile with macroeconomic correlates such as credit growth, industrial capacity utilisation, or domestic saving and investment ratios. In other words, not only are many of the methodological changes introduced questionable, but the revised estimates also failed to pass the “smell test”. Sadly, India’s growth estimates are unfavourably compared with China’s GDP numbers. Defending the revision, the official statistical establishment has maintained that the changes represent genuine improvements with the use of newer methods and databases that are in line with the latest UNSNA guidelines. For instance, the corporate sector database obtained by the annual financial accounts of nearly 5 lakh (500,000) companies is now used, compared to the data of a few thousand companies used previously (obtained from the RBI database). Nevertheless, the dispute over the GDP estimates remains inconclusive, with newer discrepancies and evidence cropping up continuously, raising more questions about their veracity than the CSO has provided answers for. The GDP back series, released last week, needs to be seen in the above context. The back series has lowered the annual growth rate for all the years during 2005-06 to 2011-12, with the average annual growth rate for the seven years reduced to 6.9% from 8.2% per year in the older series (Table 1). What is puzzling is that by most popular accounts, these seven years recorded unprecedented economic growth, an export boom, and poverty reduction – a dream run as it were – when India was hailed as one of the fastest growing economies, along with China. The GDP revision now junks this narrative. 3) A decline in unorganised/informal sector size while that of private corporate sector expanded. Table 1: GDP growth rates as per the new and the old NAS series, 2006-11. Since such a substantial downward revision has seldom occurred earlier, it raises doubts about the veracity of the estimates. The methodology for preparing the back-series estimates for the years 2004-05 to 2010-11 is largely the same as the methodology followed in the new base (2011-12). In certain cases, owing to the limitations of the availability of data, either splicing method or ratios observed in the estimates in base year 2011-12 have been applied. … Splicing method has been applied for preparing the estimates in Construction Sector entirely and applied partially in Agriculture and Allied Sectors, Gas Trade, Repair, Hotels and Restaurants, Real Estate, Ownership of Dwelling and Professional Services, Public Administration and Defence and Other Services. If it is a case of splicing two times series data – a simple statistical technique – the underlying growth rates would not have changed. The real reason for the sizeable reduction of the growth rates would, therefore, seem to lie in the use of “the same … methodology followed in the new base (2011-12)”. A tentative reading of the press release suggests that two methodological changes with respect to the private corporate sector and the informal sector could have made the difference. As noted above, in the GDP debate, many infirmities in the newer methodologies used were highlighted. The use of MCA database in particular could have misleadingly enlarged the private corporate sector’s share in the Indian economy and its growth rate. In response to criticisms, the CSO has asserted soundness of its method as MCA database is a larger dataset available with a shorter time lag. Does a larger dataset necessarily yield better estimates? The answer is ‘no’ – a better estimate would depends on the dataset’s quality and statistical procedures used. 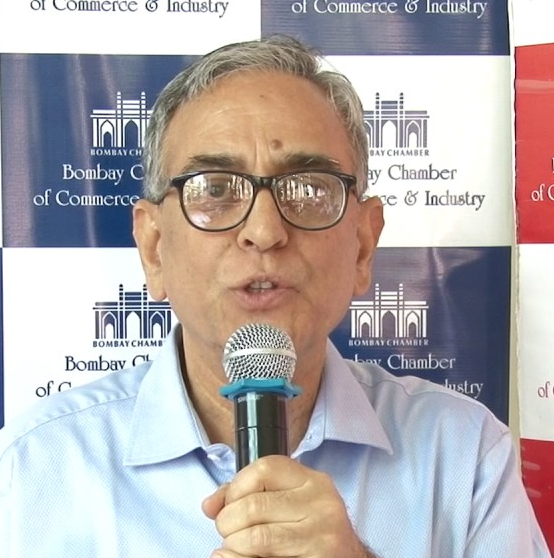 Many questions raised in the GDP debate on such issues have remained unanswered. Hence one was left to ask: Is it a case of better estimation of GDP or an overestimation? Likewise, the use of production function – an advanced method that economists use to establish a quantitative relationship between output and inputs – for the informal/household sector (compared to average labour productivity previously used) reduced average output per worker and hence the size of the sector. The quality and veracity of these superior methods have been questioned, without finding a satisfactory answer from the CSO. If the foregoing methodological shortcomings merit attention, it is hard to not see the revised GDP series as a work in progress. Just as elevated growth rates for recent years are hard to reconcile with macroeconomic correlates, the downgraded growth estimates in the back series are also perhaps hard to square with an unprecedented rise in domestic savings, booming capital inflows, and unparalleled growth in capital formation during the second half of the last decade. It is, therefore, justifiable to ask how correct is it to selectively use some of the contested methods for preparing the back series. To illustrate, consider (again) the manufacturing sector. India’s private corporate sector accounts for over 50% of manufacturing value added. The CSO press note on the back series claims that it has used the ASI data instead of MCA data (as the data did not exist for those years) – though with adjustments. Is it not a case of using different databases for different periods, expediently? How justifiable is such expediency? How can such estimates be compared with the post-2012 period as they are based on different data sets? If the CSO is convinced about the validity of its methods – as in any sound scientific procedure – it should apply the same for recent years to demonstrate that such procedures yield estimates that are identical to those currently obtained in the GDP series. To sum up, the CSO’s release of GDP back series with 2011-12 as base-year is welcome – though merely for 7 years (2006-12). The estimates have raised many concerns as the older annual GDP growth estimates are systematically downgraded for all the years, on an average, by about 1.2 percentage points – an unprecedented revision outcome. The CSO claims that it has mostly (or majorly) applied the methodologies currently in usage to prepare the back years, with suitable adjustments. However, it needs to be appreciated that the GDP revision has remained a contested issue as the estimates do not square with macroeconomic correlates, and many methodologies used in the revised GDP series are still widely questioned. Considering this, the application of the questionable methods, with selective or suitable modifications, for obtaining the back series would surely raise further questions. Is this a case of principled application of newer but doubtful methods, or estimates obtained expediently for practical considerations? The Central Statistics Office would be doing a great service to the policy, investment and academic community, and its own institutional credibility, if it can dispel misgivings by truthfully and transparently reporting all the methods, procedures and adjustment made in preparing the back series. R. Nagaraj is professor of Economics at Indira Gandhi Institute of Development Research.